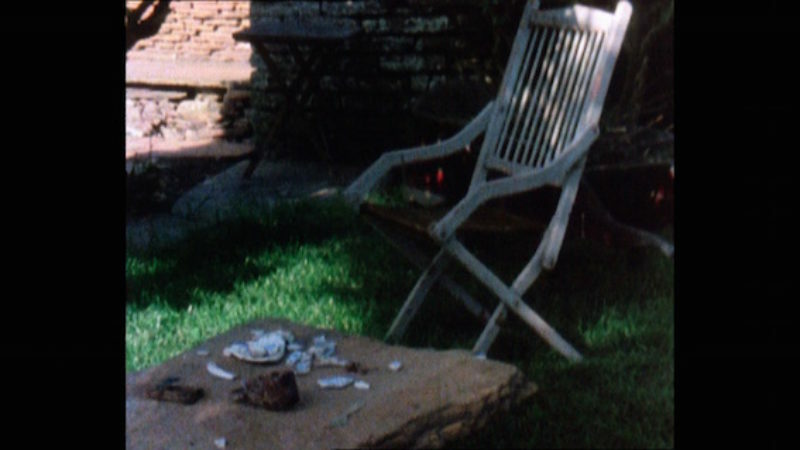 Margaret Tait, Garden Pieces, 1998, UK, 16mm, colour, sound, 12mins. Courtesy of Margaret Tait and LUX, London. In 2014, GENERATION, a major exhibition celebrating 25 years of contemporary art in Scotland, was staged by the National Galleries of Scotland and Glasgow Life. Sixty venues throughout the country took part and the work of over a hundred artists was included. GENERATION was hailed a ‘mega show’ by Jonathan Jones in the Guardian, an event, ‘that proves Scottish art is fizzing with energy’ . The exhibition provided an opportunity for highlighting the strength of Scotland’s contemporary art scene—its associations with the so-called ‘Glasgow miracle’ and its hoard of Turner Prizes (in 2014 three of the four nominees were graduates of Glasgow School of Art). The exhibition offered the chance to reflect on reasons for such phenomenal success and to consider more generally what, if anything, marks out Scotland’s contemporary art as distinctive from contemporary art scenes elsewhere. The task of curating an exhibition on this scale is fraught with challenges. Not surprisingly, reviews of GENERATION gave some focus to perceived omissions. Hannah Duguid, writing for The Independent, remarked on the exclusion of Ian Hamilton Finlay, Turner Prize winner Susan Philipsz and Martin Creed. But often, the debate generated around the selection process and the appropriate criteria and justification for the inclusion or exclusion of a particular individual, proves a productive outcome in itself. An event such as this becomes a creative provocation. This was certainly the case in Willy Maley’s compilation of the 100 Best Scottish Books of All Time for The List magazine in 2005, which included books with tenuous links to Scotland, such as Virginia Woolf’s To the Lighthouse, sparking debate around what it means to call something a ‘Scottish book’. List-making can also serve as a kind of litmus test for the time in which the selection is made. In 2012, Sight and Sound magazine’s film critics’ ten yearly poll, ‘The 50 Greatest Films of All Time’, Citizen Kane lost the title Best Film, which it had held for over 50 years, to Alfred Hitchock’s Vertigo. Speculation in the magazine considered whether this had occurred because it was the first poll to be conducted post internet, or if there was a more general ‘revolution in taste’. As polls and exercises involving the selection of a representative sample prove, tastes do change. No doubt, another GENERATION exhibition in ten years’ time would choose a different selection of artists to represent Scottish contemporary art from the same 25 year period. The selection and inherent oversights could be ascribed to the unique subjectivities of the curatorial team, but could also be examined more generally as a reflection of what is valued in the wider culture of the time. GENERATION Reader, edited by Moira Jeffrey, 2014. Published by the Trustees of the National Galleries of Scotland and Glasgow Life. Overall, what struck me initially when looking through GENERATION ’ s two publications—the Guide and Reader—was the significance of international networks within the Scottish contemporary art scene. Many contributors to the GENERATION Reader, from artists and educators to curators and critics, stress the significance of the ‘internationalism’ of the art scene in Scotland. Ross Sinclair writes of ‘a passionate internationalism [that] is being embraced’ in contemporary art.’ Likewise, the peripatetic lifestyle of many of those associated with contemporary art in Scotland emerges as a common thread running through the accounts presented in the Reader—from an account of Douglas Gordon’s nomadic existence, to the essay by Juliana Enberg, a Melbourne based writer and curator, who describes how although she doesn’t live in Scotland she visits so often that ‘people in the wider art world think I live there’. Likewise, reviews of GENERATION also emphasised the international. What is a Scottish contemporary artist? myths of nationalism flounder under the cosmopolitan nature of art. available —not because it is Scottish, but because it is often very good. Certainly the embrace of the international and celebration of inclusion rather than exclusion holds particular currency in a post-referendum, post-election Scotland, where for many, there is an urgency to demonstrate Scotland’s political confidence as an outward facing expression, rather than an inward one. The #TakeUsWithYouScotland hashtag trending on Twitter in recent months, which resulted in an outpouring of tweets inviting those interested to ‘join us’, is just one example of this. Other important points that struck me when reading the two publications for GENERATION were, the great prevalence artists working in the moving image and, the frequency with which the name of filmmaker, Margaret Tait, is evoked. Even though I have been researching her work for over ten years, editing a collection of her poetry and writings  and currently completing a book dedicated to her work as a filmmaker, in all of my visits to the various venues participating in GENERATION, it had not once occurred to me that Margaret Tait could have, or should have, been included in the selection. It was not until a few months later, when I had time to read through the GENERATION Reader’s collection of essays, that the frequent mention of artists working with moving image who were either nominated or awarded the Tait residency or award, or who cited themselves as connected to her work in someway, that, with horror, I realised my own oversight. GENERATION considered art from the last 25 years, covering a period when Tait was actively engaged in her work as a filmmaker. 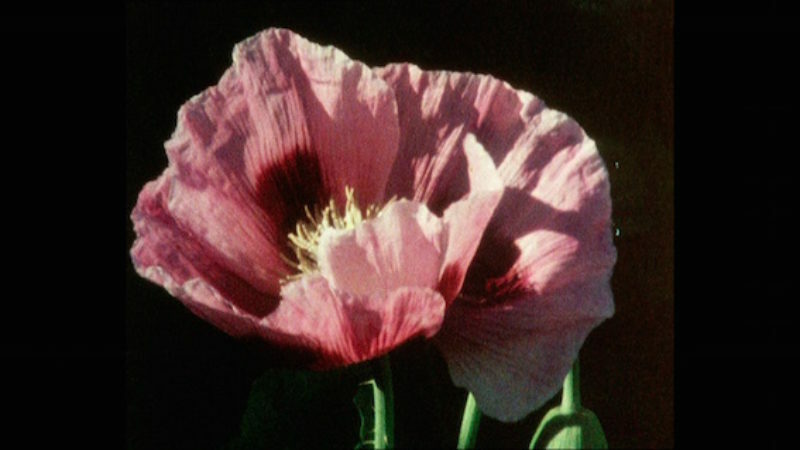 Tait’s final film, Garden Pieces, completed in 1998, is perhaps one of her greatest achievements as a filmmaker. A complex film poem in seven parts, it combines hand-coloured drawings scratched directly onto celluloid with Tait’s searching and roving camera. 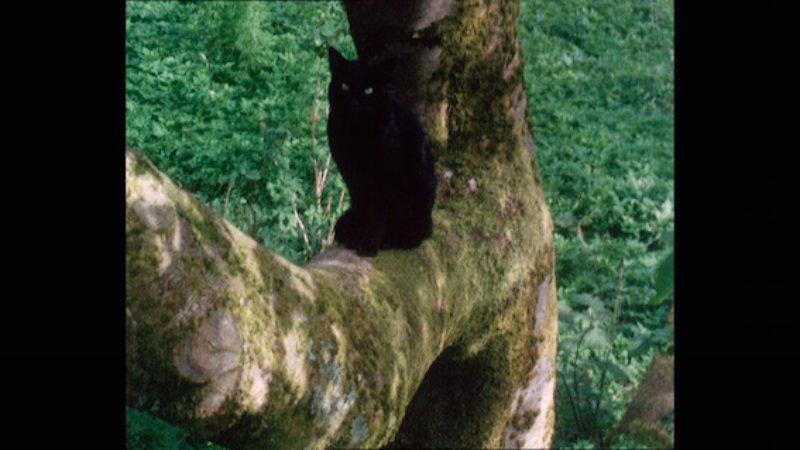 The directness of the camera belies Tait’s sensibilities as a filmmaker, with a soundtrack composed of her spoken poetry, wild sound, and a specially commissioned musical score by John Gray, who was also composer for Tait’s feature-length film, Blue Black Permanent, 1992. For much of her career Tait worked independently, making films from the 1950s on minimal budgets and for limited audiences. Although, like Norman McLaren, her films received interest from John Grierson, she was unwilling to adapt her methods and approach to filmmaking to suit Grierson and as a result did not receive the support and infrastructure Grierson could offer. Consequently, Tait worked away largely on her own, while McLaren enjoyed a long career with the National Film Board in Canada, where he became a celebrated figure. McLaren remains a key figure in the history of the NFB, his contemporary relevance reflected by his works’ high visibility on the NFB website as well as its inclusion in initiatives such as NFB’s curated selection of films offered as part of Air Canada’s in-flight entertainment. Tait’s films, which were eventually circulated by the London Filmmakers Co-op (now LUX), received their greatest circulation amongst the artist filmmakers’ community south of the border (as well as internationally), but were rarely exhibited in Scotland. After repeatedly rejecting her work for years, the Edinburgh Film Festival eventually staged a Tait retrospective in 1970. Following her death, and the restoration and distribution of her films by Scottish Screen Archive and LUX, her films were celebrated in a second retrospective at Edinburgh International Film Festival in 2004, launching a major international touring exhibition of her work. More recently, LUX has published a reader on her work (edited by Peter Todd and Benjamin Cook) and launched a DVD showcasing a selection of her films. Continuing this posthumous interest, in 2010 Glasgow Film Festival, Creative Scotland and LUX established a major award in Tait’s name to support artists working in the moving image. Two years later, in 2012, the Margaret Tait Residency was established at Pier Arts Centre, Orkney. All of these developments have brought Tait increased public visibility. Her 16mm films are now better known, as digitisation and the consequent online circulation, carry her oeuvre to a much wider audience. Despite this, my reaction to Tait’s omission from the GENERATION exhibition is emblematic of a casual neglect of her work as a filmmaker. While she may now be more accessible to a wider audience, I get the feeling people merely know her name and a few biographical facts, but may not have had the opportunity to see her films. If they have seen her films, it’s more likely to have been online rather than at a dedicated screening, and if they have seen her work at a public screening, it is likely to have been from digital copies, not the original medium of 16mm. My realisation of Tait’s omission from GENERATION came at a time when I was preparing to attend a retrospective of her films at the Punto de Vista festival in Pamplona, February 2015. The festival’s artistic director, Oskar Algeria, is a great admirer of her films and was highly enthusiastic about bringing as much as possible of her rich body of work to the festival, which, in dedicating its annual publication to Tait, also produced a translated collection of her poems and writings. There were three programmes of work, all of them extremely popular. One programme included recordings of Tait reading her poems, all of which are available on the Scottish Poetry Library website, but which are not well known and, to my knowledge, have only been incorporated into a public screening or event on one or two occasions. There seemed to be a great appetite for her work and I received word that a number of festival-goers went to every screening, attending each programme twice. There was also a lot of interest in Tait from local press, surprising considering Tait screenings in Scotland rarely attract media attention. The retrospective in Pamplona was a great success—a positive step towards Tait’s work receiving the kind of scrutiny it deserves. And yet it also highlighted the diminishing quality of the copies of her work that are available for exhibition. The films were screened in a mix of digital and analogue formats, but across the board, quality was less than satisfactory. I was approached by a number of journalists after the screening, two from an experimental film magazine in Madrid, who were both concerned about this. I explained that some of the issue is down to general wear and tear. But also, some films rediscovered as part of my own research, have been digitised by Scottish Screen Archive for archive use only and suffer pixilation when shown at a public screening. Arguably, all the films would benefit from being freshly digitised, to replace copies made over ten years ago. Developments in technology means that new prints would have a major impact on quality of image. Tait referred to her films and her poems as her children. In all contexts, she took great care over the exhibition of her films. Ute Aurand recalled a visit to Tait’s home in Orkney, and how, for an informal screening in her living room, she projected her films within gilded frame. The seriousness with which Tait took the task of exhibition can be seen in a diary entry from 1982, where Tait writes of having an anxiety dream about an imagined screening of Tailpiece, 1976, at the Glasgow Film Theatre that goes dreadfully when ‘the projectionist uses a different soundtrack because he didn’t think the other one was quite right.’ But Tait also wrote that her work, like children, must eventually go out in the world and make its own way. And so it did. She sent poems to friends in India, Italy and the United States. They were included in exhibitions of artists’ film that toured internationally. Sometimes they were accompanied by her handmade, often detailed, programme notes. Other times, they appeared on their own. The converse is also true, especially in the case of this artist and writer whose work continues to be more celebrated outside Scotland than within. It is in this sense, that GENERATION proved a most accurate litmus test of current climate of contemporary art in Scotland and Tait’s place in it. Perhaps a useful awakening for all. Let’s hope, that if there is an exhibition considering the same time frame, Tait’s films, like Hitchcock’s Vertigo, will be given the kind of attention that’s long overdue. Jonathan Jones, ‘Generation : the mega-show that proves Scottish art is fizzing with energy’, The Guardian, 26 June 2014. Hannah Duguid, Generation: 25 Years of Contemporary Art in Scotland . The Independent, 20 June 2014. Willy Maley (ed. ), 100 Best Scottish Books of All Time (Edinburgh, 2005). Ian Christie, The 50 Greatest Films of All Time, Sight and Sound, September 2012. Moira Jeffrey (ed), GENERATION: 25 Years of Contemporary Art in Scotland (National Galleries of Scotland and Glasgow Life: 2014). Sarah Neely (ed. ), Margaret Tait: Poetry, Stories and Writings (Manchester: Carcanet, 2012). Ute Aurand, contribution reflecting on her visit to Tait in Orkney, in Peter Todd (ed.) ‘Remembering Margaret Tait: A Deeper Knowledge Than Wisdom’, Vertigo, vol. 2., no. 7, Autumn/Winter 2004, p. 53-55: 52. Margaret Tait, statement on six films selected by filmmaker as ‘models for a representation of Scotland on Screen’, Kenny Mathieson (ed. ), Desperately Seeking Cinema?, Glasgow Film Theatre, May-Oct 1988, pp. 83-84.